Sound Blaster E1 is a portable and powerful headphone amplifier with support for studio-quality 600 ohm headphones, audio playback and two headphone jacks for easy music sharing with your friends. Tired of having to choose specific headphones impedances to match your setup? 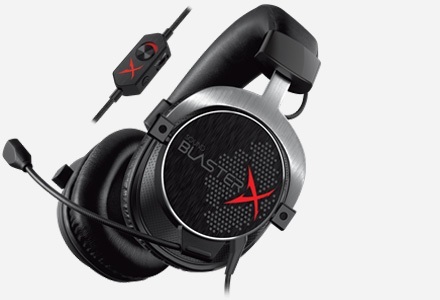 The Sound Blaster E1 supports headphones with impedances of up to 600 ohms. 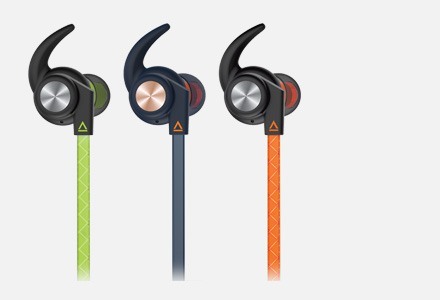 This means you can match just about any headphones with it. 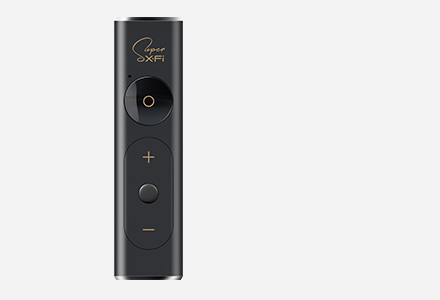 Enjoy a level of audio detail & resolution previously unattainable. Enjoy your music on the go with jaw-dropping audio fidelity of 106dB Signal-to-Noise Ratio (SNR). Hear more music, not noise. Sound Blaster E1 performs up to 25-hrs1 per charge. That's more than a whole day of high fidelity continuous playback! Sound Blaster E1 is small and light, weighing at only 25 grams. The portable headphone amp can be easily carried around in a bag or a pocket, or clipped onto clothing. No longer will you have to haul a headphone amplifier the size of a brick to enjoy better audio. Share Your Music, The Better Way! Sharing your music is easy with the Sound Blaster E1 which comes with two headphone output jacks! Unlike other shared outputs, the Sound Blaster E1 does not compromise on audio fidelity, so the quality remains the same even when powering two discrete outputs! The Sound Blaster E1 has its own built-in microphone, allowing you to take calls. When connected to PCs and Macs via USB, you can activate CrystalVoice Technology, a suite of enhancements that reduces noise for clearer conversations. Enhance your audio experience with SBX Pro Studio technology! 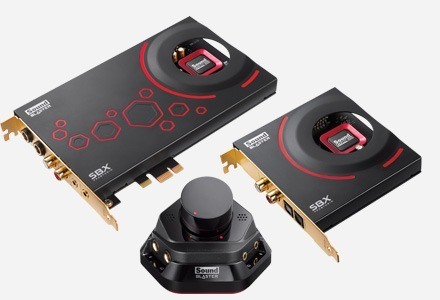 Simply connect your Sound Blaster E1 to a PC or Mac, and fire up the Sound Blaster E-Series Control Panel software. You can enable SBX Surround for great immersive audio, or play around with other enhancements such as Crystalizer for enhanced details, or SBX Bass for that extra deep boom in your sound. Click to learn more about SBX Pro Studio. 1 Actual battery life will vary with use and volume settings. Onboard audio often relies on low-quality DACs (digital-to-analogue converters) and we found the E1 improved the audio quality of the systems we tested it on, including desktops and laptops. Pleasingly there was barely any hiss and no stutters when initially playing music, as can be the case with other external sound cards. The E1 managed to make my onboard sound on my laptop sound bad in comparison and it was able to improve the sound of the Nexus 4 considerably. Testing in game, in movies, and with music all sounded great. The difference was incredible – Dragonforce bounced around my ear canals with increased clarity and intensity – two things which, most of the time, are mutually exclusive. I was blown away by how much better my iPhone’s music sounded thanks to this almost $50 dollar little box. What sets E1 apart is really its unique set of features. Creative has managed to pack just about everything you want for an basic external PC soundcard for headphone into a really small body, while making it double as a standalone amp and still keeping it cheap yet competent. It is the stick of all trade and a relevant gadget that fits right into this post PC era. Tonally the Sound Blaster E1 is a clean sounding amp with an added touch of warmth and reasonable levels of dynamics with sensitive or easy to drive headphones and IEM’s. The Creative SoundBlaster E1 DAC is a very versatile product in a small diminutive package. I seriously have only praise for the device. Good battery life, excellent sound quality, portable dimensions, dual headphone outs, Regarding the cons, I have yet to find any. 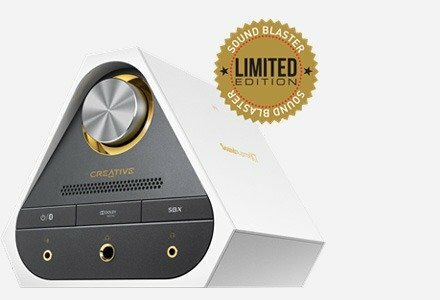 The Sound Blaster E1 by Creative is a well-priced headphone amplifier that can power studio-grade, high-impedance headphones. 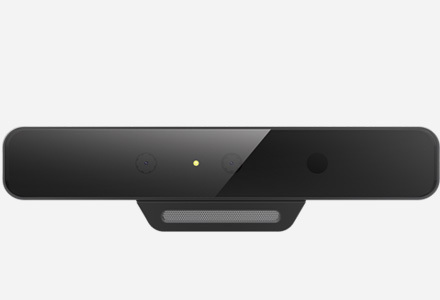 It delivers stellar audio quality, and it comes with a duo of 3.5-millimeter audio jacks, allowing users to share their tunes with another person. Works as advertised. It's a good quality portable amp for its price. The E1 is by far the best portable headphone amplifier under 100€ in end of 2015, first it works out out of the box via OTG with my Android 5.0 smartphone something I wasn't expecting. The DAC is competent for the job and the amplifier section is on par with some DIY solutions made by fans. The E1 works as a DAC on elementaryOS Freya but as far as I know its not possible to use the record option, I won't remove the 5 stars because of this detail as I bought the E1 to be a portable companion and it excels on that task and also because it's a OS related problem. Creative Labs engineers did a entry product that raises the bar to the competition. Music wise if you give it a clean signal it will behave without distortion and will output enough to run most dynamic driver headphones loud. Nice little Portable package... Good boost for sound at great value!! The Sound Blaster E1 is truly an extraordinary device on the go. I love the simple thought of the device and it makes all my IEMs, In-Ear headphones sound superb with Creative's touch of sound. I hope to see a better version between the E1 and E3, particularly a cheaper Bluetooth device with E1 features + more iPhone features. Bought this primarily to use as a microphone for my Skype call, my voice is picked up clearly, better than the usual build in mic on the headset, the CrystalVoice definitely helps. The two headphone jack makes sharing music with another a breeze. 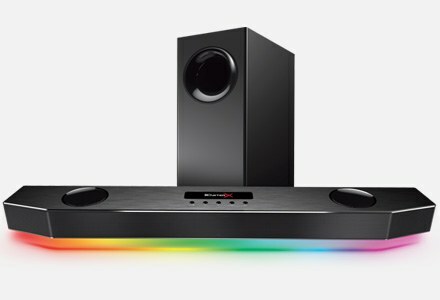 Highly recommended gadget to enhance your audio experience. This device saved me from getting new mp3 device that has enough sound effects. I am using note 2, after android 4.3 update my factory music player sound dull and some of equalizers and additional environmental effects were softened. This device boosted abt 50%. I notice that the singer’s voice in songs is clearer (I am amazed that I can hear the difference) and the bass is slightly toned down when using my Audio-Technica ATH-M50 Headphones. A full charge on the Sound Blaster E1 can last you for 25 hours. It is extremely lightweight, weighing only at 25g. The Sound Blaster E1 also comes with a built-in microphone which allows you to use your normal headphones for conversations over the phone. Note that if your headphones come with a remote to control the volume and music playback of Android or iPhone, it will not work with the Sound Blaster E1. small and light which comes with two headphone output jacks. But most importantly, the immediate transformation of sound quality with this tiny add-on will totally change your expectation on the music sound to your ears. The sound blaster is perfect for use with smartphone and works brilliantly as a portable amplifier. It is definitely the better amp at this price range. Value for money! Good and value for money. Highly recommended for audiophiles! Nice add-on to my earphones. Great little device, works perfectly and great sound. Works well. The volume slider is useful for adjusting the sound output without having to fumble with my device controls. Not yet plugged into my computers to try the sound blaster yet.